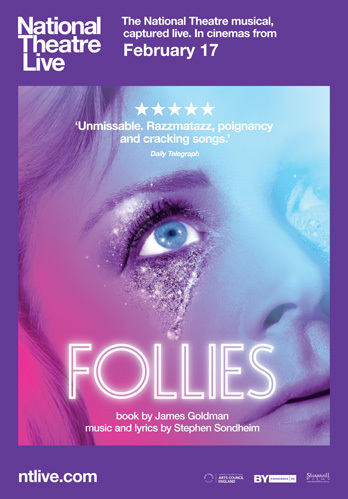 Win National Theatre Live: Follies: Join the grand reunion | SWITCH. Tracie Bennett, Janie Dee and Imelda Staunton play the magnificent Follies in this dazzling new production, joined by Australian stage and screen legend Philip Quast, winner of the Oliver Award for Best Actor in a Musical more than any other performer in history. Featuring a cast of 37 and an orchestra of 21, Follies is directed by Dominic Cooke ('The Comedy of Errors'). The 'National Theatre Live: Follies' competition has now closed. Winners will be announced shortly. Competition opens at 5pm AEDT on Sunday 28th January 2018 and closes at 11:59pm AEDT on Sunday 4th February 2018. Ten winners will be chosen at random on Monday 5th February 2018. To successfully win, entrants must fulfil the above entry conditions before the time the competition closes. Current members/followers are eligible to enter the competition. Only one entry per person. Only one winner per household. To be a valid winner, the entrant must not have won a prize from SWITCH within the last 28 days. Each winner will receive one double pass to 'National Theatre Live: Follies'. By entering, you agree to receive occasional emails from SWITCH in the future. If you decide to unsubscribe from these updates, any further entries will not be applicable. Only Australian residents are eligible to enter. 'National Theatre Live: Follies' is in cinemas from Saturday the 17th February 2018 through Sharmill.